South Jersey real estate lawyer Robert J. Incollingo has again been invited by the Camden County Bar Association to speak to local attorneys at the CCBA’s annual continuing legal education seminar on residential real estate law, to be held at the Tavistock Country Club in Haddonfield on Tuesday, May 17, 2016, from 4:00 to 6:30 p.m. This year’s topic will be the statewide standard form real estate sales contract newly introduced for local use. 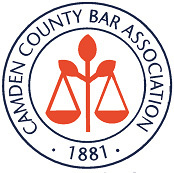 To reach the CCBA for reservations, phone: (856) 482-0620, or email through the Association website at https://www.camdencountybar.org/contact.php. Cherry Hill real estate lawyer Robert J. Incollingo was voted the Best Attorney at Law in the Courier Post Readers’ Choice 2015 Best of South Jersey poll.